Larry A. Wolfe, 64, of Decatur, IN, passed away on Monday, August 13, 2018 at Lutheran Hospital. He was born in Chicago Heights, IL, on May 28, 1954, the son of Willard Wolfe and Yvonne Conover. On December 15, 1973, he married Regina L. Hood. 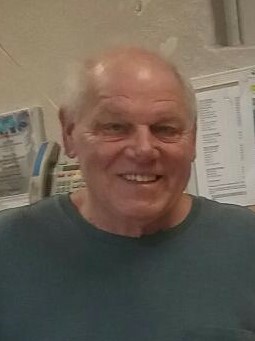 He was employed for 44 years with Bunge North America and had just recently retired in February of 2018. He was a member of the Sons of the American Legion Post 468 in Berne. Larry was an avid card player and enjoyed tending his garden, but above all he loved spending time with his 2 grandsons. He is survived by his wife of 44 years, Regina L. Wolfe of Decatur; his mother, C.Y. Conover of Argos; 2 sons, Ryan W. (Sarah) Wolfe of Decatur and Aaron J. (Amber) Wolfe of Niles, MI; 4 brothers, James Wolfe of FL, Tim (Terri) Wolfe of New Paris, David (Jean) Wolfe of Plymouth, and Kevin Wolfe of Rochester; a sister, Mrs. Susan (Merl) Hayn of Argos; 2 grandsons, Carter Wolfe and Cooper Wolfe. He was preceded in death his father, Willard and a sister, Karen. Visitation will be from 2:00 - 6:00 p.m. Wednesday, August 15, 2018 at Haggard-Sefton-Hirschy & Zelt Funeral Home. A Funeral Service will be held at 11:00 a.m. on Thursday, August 16, 2018 at Haggard-Sefton-Hirschy & Zelt Funeral Home, with calling 1 hour prior to service from 10:00-11:00 a.m. Pastor Amy Covington will be officiating and burial will take place in the Decatur Cemetery at a later date. Memorials may be made to A.C.C.F. Angel Heart Fund.